Swimming resort and camping on the Mrežnica River: Belavići – Mrežnički Brig - Explore Croatia Become a Patron! 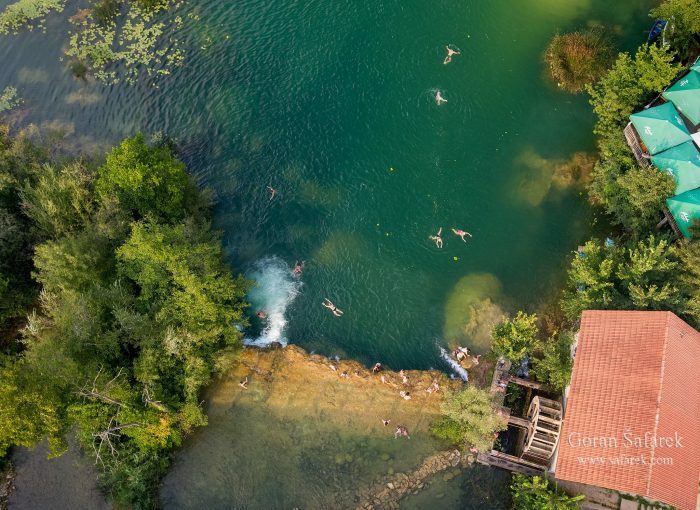 The Mrežnica River is one of the most beautiful Croatian rivers, and swimming resort with camping between Belavići and Mrežnički Brig villages near Karlovac, central Croatia, is one of the most beautiful and known. 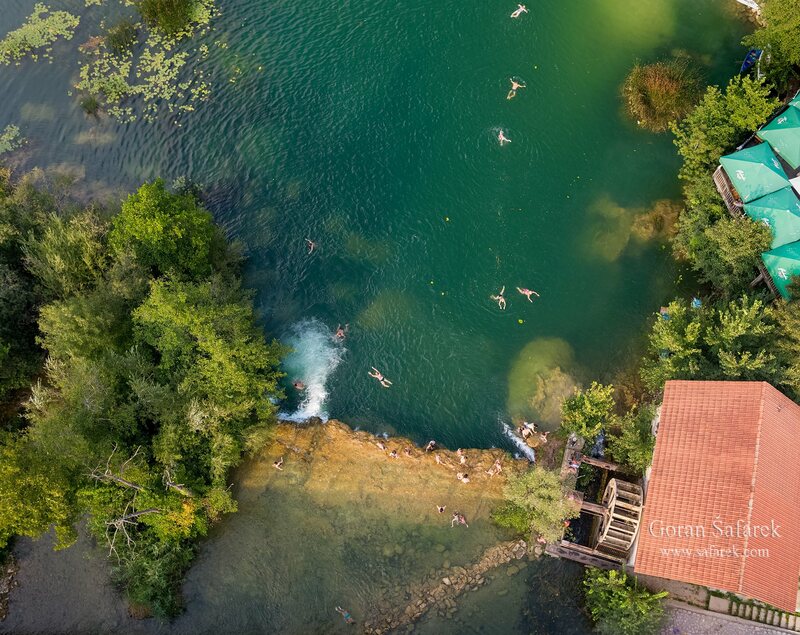 The Mrežnica River is one of the most beautiful Croatian rivers, and swimming resort between Belavići and Mrežnički Brig villages near Karlovac, central Croatia, is one of the most beautiful and known. Its emerald water, lush vegetation and almost 100 waterfalls in green canyon will take you breathless. Here, near Karlovac, the river is already in wider valley and in inhabited area, but still in natural state. It is very wide, with island overgrown with luxuriant vegetation. Water lilly and reed grow in shallow parts and all this contributes to the sense of charming wilderness. You can feel “lost” in the nature! You can discover these natural gems swimming or paddling. After adventure, you can sunbath on a small beach, but for younger, there is small wooden pier for jumping. Just a bit further is small waterfall with a natural jacuzzi. To complete the stay in the nature, you can sip a coffee, a juice or eat an ice-cream or entire lunch in the restaurant Mons solis, just above the water. Just nearby is a camp Slapić (Slapić means “Small waterfall”) for prolonged staying. Good road leads to this place, connected with bridge to the main road. This is a modern, new bridge, imitating an old, wooden one. Near the restaurant is also an old watermill, built from the stone and wood.